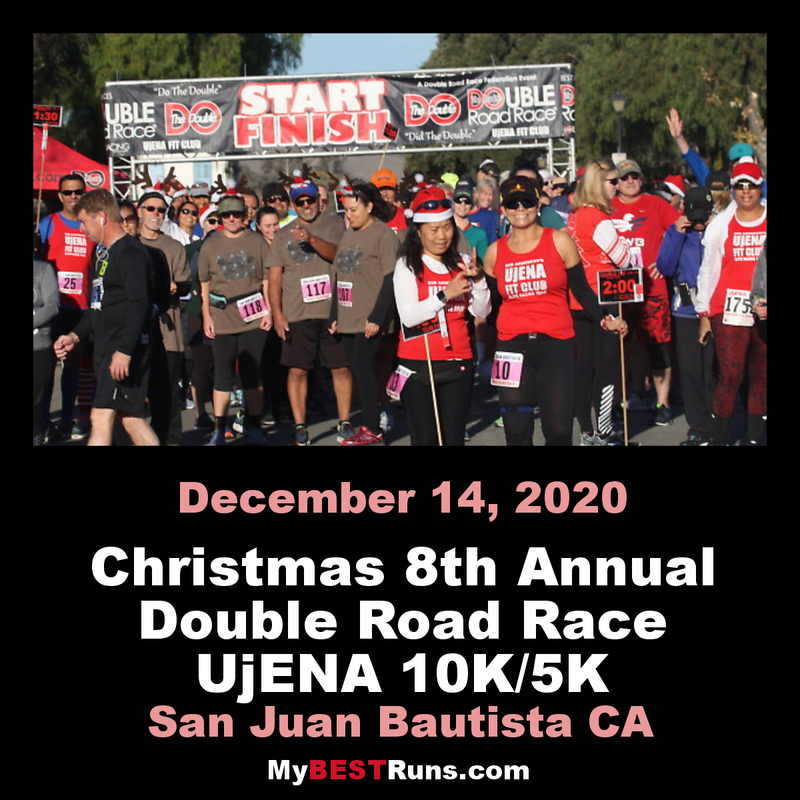 The Double family wants to invite you and your family to our 7th Annual Christmas Double being held again in the quaint western town of San Juan Bautista, California just 30 minutes south of San Jose, Ca. "Double Racing®, Double for short, is a sport consisting of two-stage running events. Participants first run the longer stage, take a half time break and then run the second stage. Times are combined for scoring. Participants must complete bothstages to get a time. The second stage starts 1 hour 45 minutes (restart) after the start of first leg. We will give each participant a Santa Hat. We are also featuring two open races. The Ujena 10K and the Ujena 5K Run/Walk.